In an ideal world, my entire life would be spent by the beach. My foot covered not by shoes but flip-flops; my hands not clicking webpages but flipping paperbacks; my mornings defined not by emails but breakfast in bed and birds chirping outside the window of my villa; my late afternoons not consumed on daily reports but wasted on the seashore waiting for the sun to set. But alas, life does not work that way. Reality does not only bite, but it slaps you real hard, on the face. Adulthood is upon me and this beach fairy tale is nothing but a temporary insanity to help me get through each day. Being a freelancer sometimes takes its toll on me. It beats me, consumes me, and pushes my patience to the limit. It’s not an easy endeavor, and mind you, it’s even harder to work when there’s no one to boss around you. Working at home means dealing with distractions disguised in DVDs and comfy bed; deadly temptations that tease me until I go nuts. And then there’s the bipolar weather we so dread. That would’ve been a minor problem if I have an air-conditioner in my home office, but sadly, I don’t have one. So yes, I have a love-hate relationship with the weather. 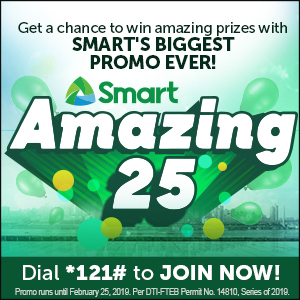 On days when the heat becomes unbearable, the only thing I can think of is catch a ferry boat that would take me to one of the pristine beaches in Samal Island, Davao del Norte. I imagine running bare foot and jumping into the water to beat the heat. I’d submerge myself and get lost in oblivion. Okay, just kidding. I’ll swim and swim and swim until I’ve had more than enough. I’ll swim until my legs couldn’t take it anymore. I’ll swim until every inch of my living vein is as calm as the wee hours of the night. But that’s not as easy as it sounds, because there goes my ego doing a reality check: I cannot simply ditch my job behind. As soon as this realization sinks in, I turn to my list of favorite alternatives: a cold bath, a gallon of ice cream, a pitcher of drinking water, or a bottle of ice cold Coca-Cola. Coke has always been one of those things that cost little but gives too much. 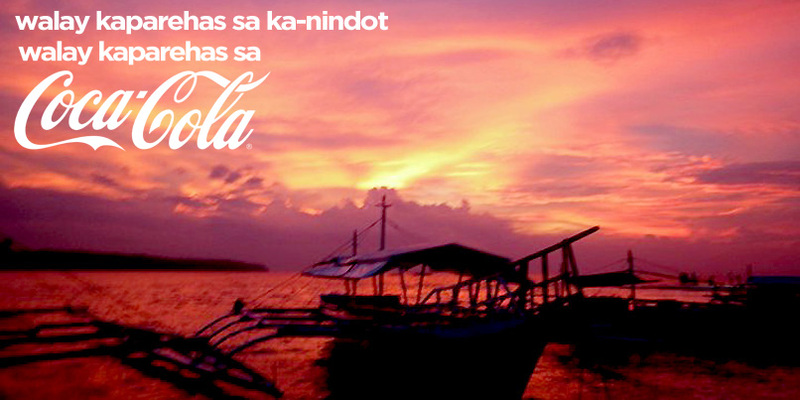 Like the Samal beaches that I’ve loved since I was five, Coca-cola is an iconic drink that has been with me throughout my growing years. It has witnessed all my ups and downs, my happy and sad moments, my challenging but happy life. And as for my beach trips, I cannot even remember a single instance where Coke was not present in the occasion. 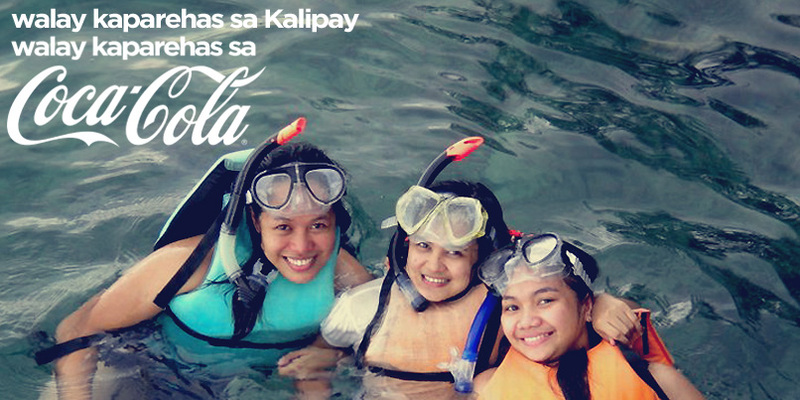 Be it a family gathering or a quick escapade with my friends, there sure is several bottles of Coca-cola on the table. For me, nothing compares to Coca-cola. 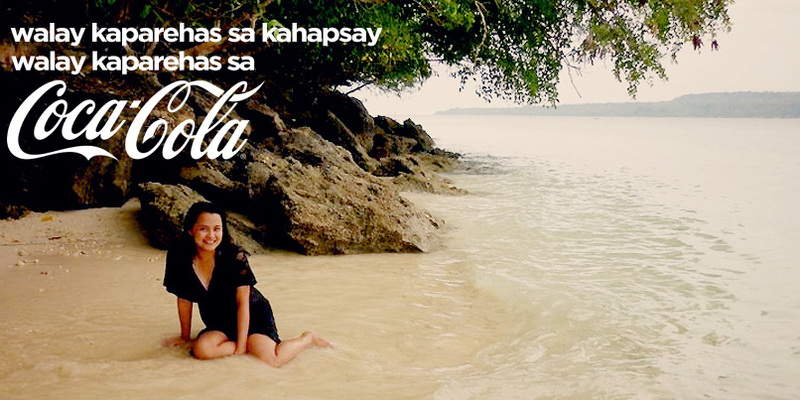 Nothing compares to the sweet and delicious taste of Coke that brings forth the idea of a sweet afternoon by the beach. Nothing compares to its refreshing fizz that reminds me of that cooling sensation I feel as soon as my body touches the beach water. Nothing compares to that stream of adrenaline rush in every sip; the kind of rush I’d usually get when I’m out there doing whatever extreme sports the beach has to offer. It makes me feel alive. 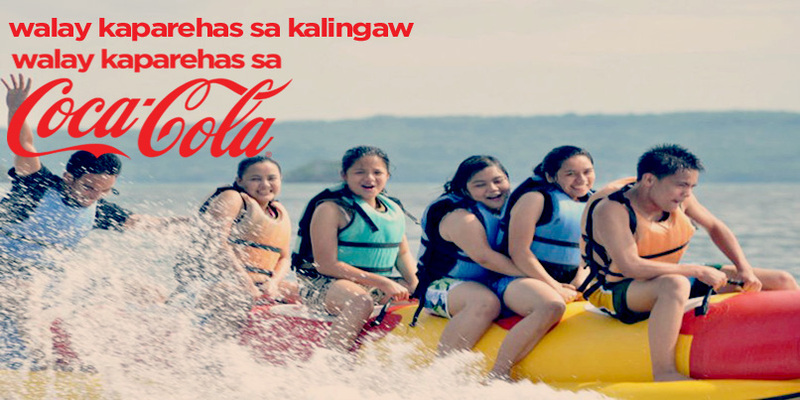 Nothing compares to the happiness in every bottle of Coke that takes me back to the happy moments I’ve spent with my family and friends while listening to the sweet melody of the sea waves. Nothing compares to the peace and calmness that embrace me like shroud after drinking a glass of coke. It’s the same calmness I feel when I’m out there sitting on the sand and staring far to the horizon. Sure, I may not always be able to run to the nearest Samal Beach whenever I want to. I cannot always ditch my laptop in exchange for sun-kissed skin. I sometimes cannot even afford to daydream about spending one lazy day at the beach. But at least I know, that when things go beyond me, I can always cross the street and get myself a bottle of Coca Cola. I cannot escape, but I sure can pause for a brief moment and enjoy a glass of coke in hand while imagining the sun and sea. 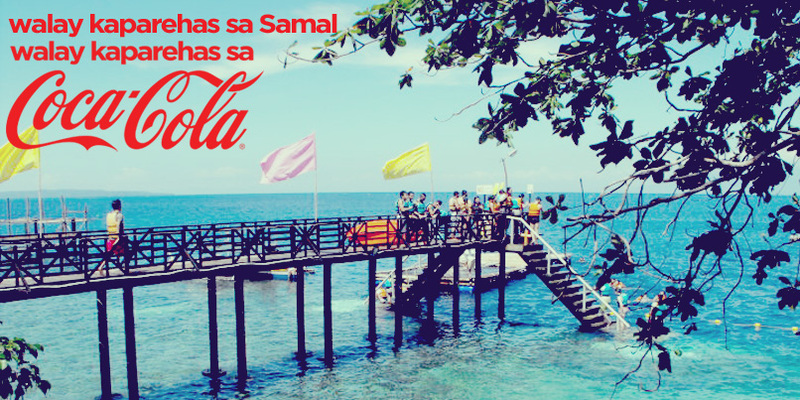 Coca-Cola and Samal Island: two phrases that bear the same definition in my dictionary. Two things that remind me of how lucky I am to be living in this side of the country. Two gems that serve as my sweet escape when everything gets tough and out of control. Two icons that prove that indeed, life is here in Davao.